While Donald Trump and the United States intelligence services argue over who hacked whom, it has been almost forgotten that, for a young British citizen, hacking accusations pack a much heavier punch than political point-scoring. 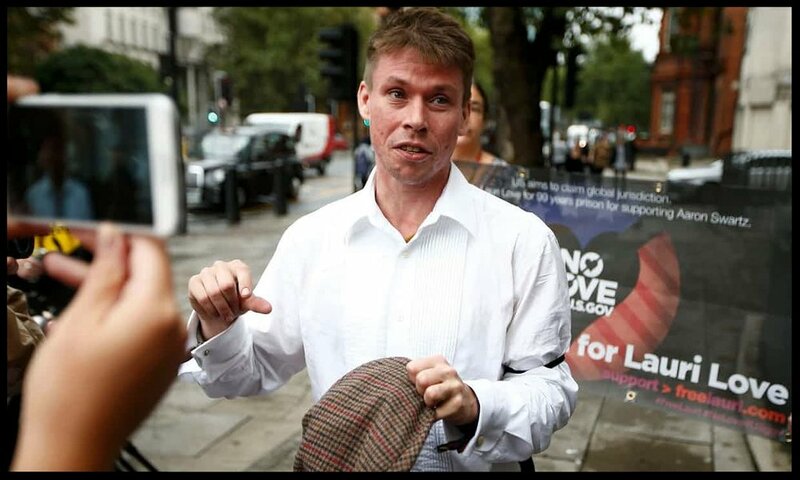 Lauri Love, who has Asperger syndrome, is facing extradition to the US and is now awaiting a date for the appeal hearing that will determine the course of the rest of his life. Love, aged 31, from Suffolk, is accused of hacking into the sites of the US army, Department of Defense, FBI, Nasa, Federal Reserve and others between 2012 and 2013. The US government is seeking his removal to stand trial there. Technically, Love could face 99 years, although the indications are that the authorities would seek a plea bargain and a shorter sentence. It is just over four years since Theresa May, then home secretary, announced to widespread applause that the US could not extradite Gary McKinnon, who also had Asperger syndrome and who had been accused of hacking into Nasa and Pentagon sites. The Daily Mail – which, like the Guardian, had long argued against this extradition – applauded her stance. And last year, when May ran for prime minister, the paper threw its weight behind her. Janis Sharp, McKinnon’s mother, has also spoken out for Love. But in the meantime, under the 2013 Crime and Courts Act, parliament has handed the home secretary’s decision-making role on extradition back to the courts. For this reason, the current incumbent, Amber Rudd, has declined to intervene. But the law change means that British courts can now try alleged crimes that, like hacking, have been committed in Britain but have ramifications abroad – and punish them according to our laws, not the laws of another justice system. The judge who authorised Love’s extradition last year said she accepted that “Mr Love suffers from both physical and mental health issues, but I have found the medical facilities in the United States prison estate … are such that I can be satisfied his needs will be comprehensively met.” Yet the American justice system is one of the most punitive in the world and Love would be regarded within the prison system as someone who had damaged the US: in the increasingly toxic and xenophobic post-Trump climate, he would be an inevitable target. Karen Todner, Love’s solicitor, who successfully defended McKinnon, has pointed out that May changed the law so that such cases could be tried in Britain. Todner says that if the law “was meant to provide protection to someone such as Gary McKinnon and yet serves no purpose to someone as vulnerable as Mr Love, it has become an empty protection”. Love’s case has the support of more than 100 MPs, led by the Conservative David Burrowes, McKinnon’s MP, and Labour’s Barry Sheerman. They wrote to Barack Obama last year arguing that the request for extradition should be dropped. Rudd should add her voice, and address it to the incoming president. Lauri Love is not seeking to avoid justice, but such justice is not currently available in the US. The British courts are perfectly capable of trying a case that involves no acts of violence or extremism. They should now assert their right to do so.